This little guy just might be a musician. He started taking drum lessons a little over a month ago and is picking up very quickly. He has also shown an interest in guitar and piano. 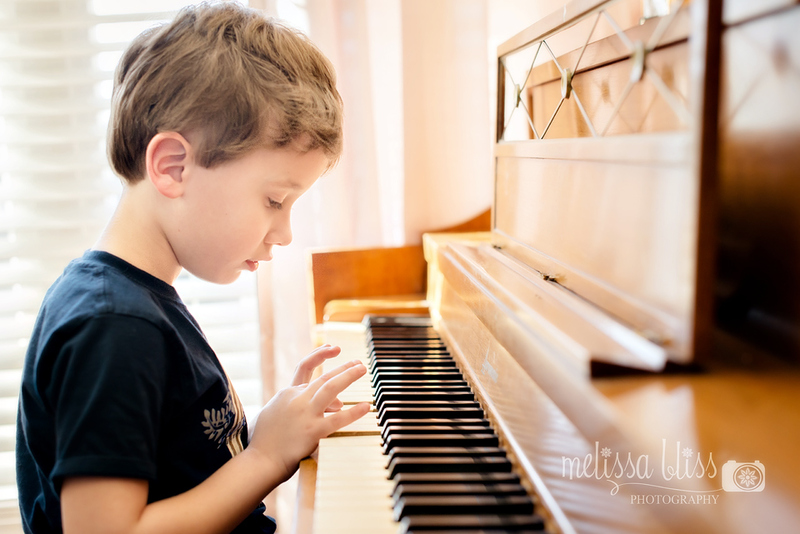 Here he is playing piano at Nana's house last Sunday. I love that he loves music! We don't want to push him too much, since he is only 5, but I hope he will stick with it. What did you love to learn as a kid, or what do your kids love to do? So cute! Love this capture! Looks like he is having fun, and that is the beginning of passion! Super cute! Great photo! I wish I would have learned to play the piano when I was a child. music lessons are awesome for kiddos! So cute! That is awesome that he has such a love of music already!! So cute! It's pretty awesome that he has a love for music so young! A pretty shot. Makes me miss my kids being little so much. Love the light in this photo too. My kid wants to study guitar this summer.